Based in Totnes, Devon, Amtek is one of the UK’s foremost toolmakers specialising in plastic injection mould tools and high precision CNC machined components. At its 21,000 ft2 facility the company has invested in it is ability to ‘go large’. Most often a fully assembled plastic injection mould tool might weigh up to 5 tonnes. 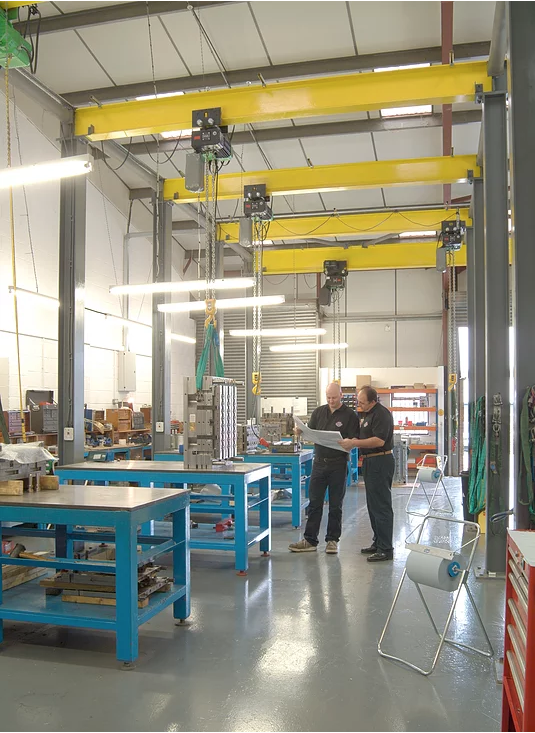 The team at Amtek took the decision that this was not enough and invested in material handling solutions capable of safely moving the mould tool component parts each weighing up to 8 tonnes around its workshop and finishing/assembly area. Even with the increase in the number of injected components that can be produced the same rigorous toolmaking systems and methods are applied. Tool longevity is vital to Amtek’s customers so it becomes second nature to the company’s highly skilled staff to check and recheck everything. “We have tools in the market that have completed more than 30 million cycles, you don’t achieve that level of reliability by accident, you have to add quality at every step of the mould tools creation,” he adds.